In 2015, the United Nations released a set of targets called the Sustainable Development Goals, signed by a number of countries around the world, with the aim at eradicating poverty and hunger, improving education and health, and creating more sustainable policies to combat climate change by the year 2030. One of the most significant goals was the focus on gender equality, as it specified how greater inclusion of women and girls in issues of financial development will be key to ending poverty. While the SGDs may only be a recent implementation, there are a number of organizations globally which have been working toward some of the targets already, and for a number of years. One of these is Just Like My Child, a non-profit that empowers vulnerable adolescent girls and the communities they live in through human rights, education, health care, and mentorship. It was founded in 2006 by American woman Vivan Glyck, who is from San Diego, CA. Vivan’s story and the organization were recently featured in a profile series on the Global Citizen website, in collaboration with Gucci’s Chime For Change platform. Just Like My Child primarily works with girls and women in Uganda, and the story of how it came to be is quite inspiring. Vivian originally made a trip to Uganda to help those suffering with AIDS, but ended up being a passionate advocate for helping prevent teen pregnancy and child marriage. Vivian chose to go to Africa after experiencing some personal tragedy. She suffered two miscarriages and decided she wanted to do something meaningful with her life. She ended up in Senegal to offer her help to those suffering with AIDS, and ended up meeting a journalist who had worked in Uganda. The journalist connected her to the Bishop Asili hospital and Vivian went to visit. During that visit, she learned about a mother who died in childbirth, leaving the baby with the grandmother who was distraught after watching her own daughter die. Vivian would learn about the issues facing women and girls in the local community and realized the problems with health, violence, education, diseases, and poverty. She documented her trip in a Youtube video, and worked with Sister Ernestine Akulu, the hospital’s administrator, to raise money to eventually start Just Like A Girl. Vivian never intended to start a foundation, but her trip to Uganda changed her life, and she recognized her new calling in life. 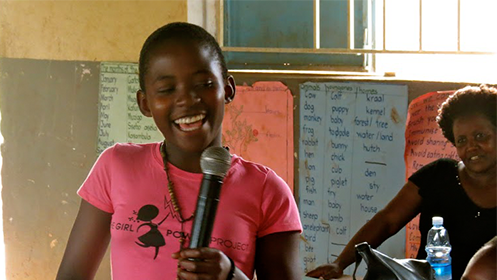 According to the Global Citizen profile about the foundation and Vivian in places where Just Like A Girl has been working, there have been been zero teen pregnancies, zero child marriages and zero dropouts among roughly 1500 girls in 13 communities. This impact is no small matter. Data from the Center for Global Development and the Global Campaign for Education show that education can make a difference in a girls’ life: seven or more years of education means a girl marries 4 years later, has 2.2 fewer children and is three times less likely to contract HIV/AIDS. 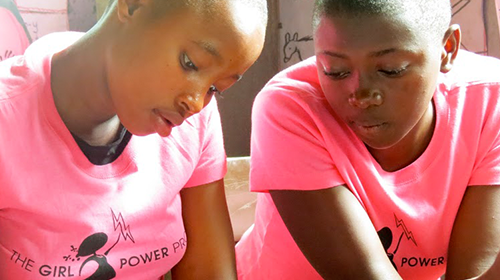 We have been sharing a number of personal stories written by teen girls from Uganda in our “Teen Voices” series, in partnership with an organization called Women in Leadership, Uganda. In these entries, young women share heartbreaking stories about pregnancy, abortion, health, violence, and gender discrimination, giving real-world insight into the statistics around these issues. The correlation between each of these issues is that they prevent women and girls from escaping poverty, and that is something both WIL and Just Like A Girl are working to change. Like the way the visit to Sister Ernestine’s hospital enabled Vivan to see the need to help women and children, it was on one of her regular trips to Uganda where she visited a local school to see the needs of young girls that became the spark to launching the foundation’s mentorship program called the Girl Power Project. “Empowering women and girls raises economic productivity and reduces infant mortality. It contributes to improved health and nutrition, and increases the chances of education for the next generation,” states the mission on the website. Throughout 4 key phases of the project, the girls participating learn about health and their bodies, communication, building self confidence to know they have the ability and power to live prosperous healthy lives and most importantly, stay in school. Vivian told Global Citizen how the impact on the girl’s lives is then compounded throughout their communities with the knowledge and tools they are given. “I think the thing that’s ultimately most exciting is that we’re creating thousands of bright lights with these girls who then go on to be mentors themselves. These girls are passing along the message that your body belongs to you,” she said. 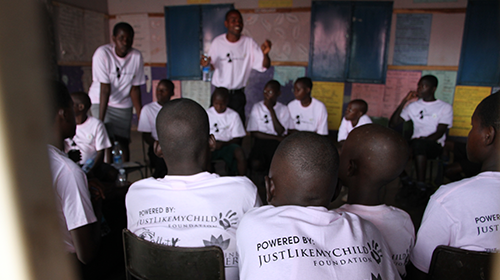 In one of the workshops where girls learn about sexual violence, they are asked by a show of hands how many have experienced this, and out of 19 girls in a group, all of them raised their hands. “When I saw that, I knew for certain exactly how lonely those girls felt, how isolated they felt. And I knew that we could have an impact on them,” Vivian said in a video about the Girl Power Project. The reasons for Vivian’s passion for empowering girls stems from her own childhood and family experiences. She grew up in New York City, the daughter of Holocaust survivors. Her father was abusive to her mother, and Vivian herself was sexually abused. As a young girl she didn’t talk to anyone about it until she found a mentor who gave her the confidence to speak out and stand up for herself. This is what she wants to impart on the girls in Uganda. “I was very, very suppressed, and he was a frightening figure to just obey. That was really the connection I saw when I understood what was going on with these girls…For them sexual abuse is the norm, and they don’t really feel like they have rights or a voice. When they start to understand that their bodies belong to them … you’re creating an independent woman who is not a prisoner of cultural norm,” she said. 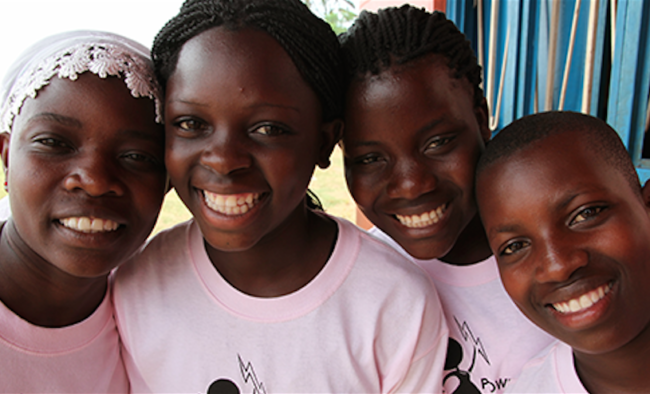 Their goal is now to reach 1 million girls in 100 communities in Uganda as well as other countries. Judging by the success they are already seeing in terms of reduction in teen pregnancy and child marriage rates in the communities they already work in, we can’t wait to see the impact on even more girls. “Some of the biggest issues plaguing girls in our world is their beliefs that they’ve been cultured to think that they’re not good enough, that they need to suppress their power, that they are not worthy. We need to really question the beliefs that hold us back from reaching our potential…Girls have the power to change the world,” said Vivian.